From pediatric prosthetics to drugs and guitars, 3-D printing is already revolutionizing the way we use, make and think about a plethora of products. Now, a firearms enthusiast is claiming to have added yet another thing to the list: a functional AR-15 rifle, which he made at home using a 3-D printer and gun blueprints downloaded from the Internet. Last month, Extreme Tech reported that amateur gunsmith Michael Guslick had managed to "construct and shoot a pistol partly made out of plastic, 3-D printed parts." Guslick, an engineer who operates under the moniker 'HaveBlue,' had previously announced in an online forum that he had successfully fired 200 rounds from his custom-made, 3-D printed .22 caliber pistol. The pistol was partially made out of plastic, having been created from a 3-D printed lower receiver and a commercial upper receiver. In other words, the main body of the gun was made of plastic and printed at home. Guslick told The Huffington Post that he had obtained gun blueprints from a website before using his 3-D printer to print the component. To complete the weapon, he then combined it with off-the-shelf metal parts. Guslick said that the resulting gun was a success. 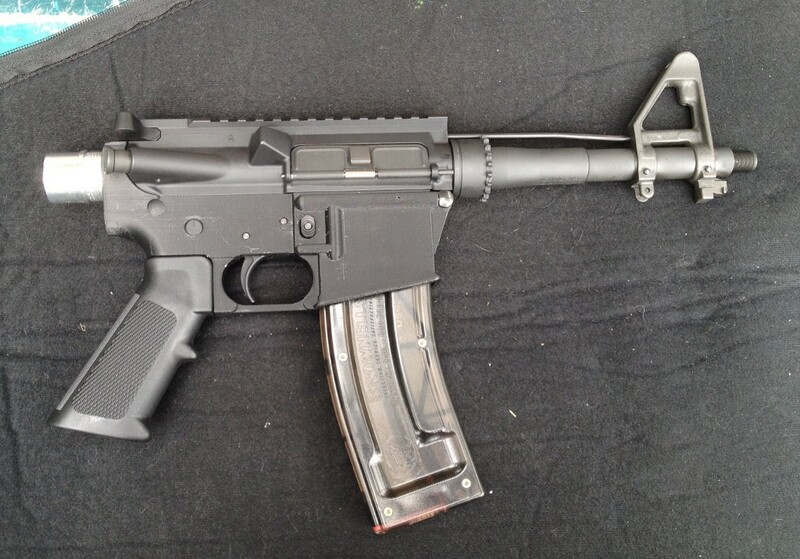 Guslick said he then adapted what he had created to make an AR-15 -- a semiautomatic rifle. However, Guslick said that though early testing of the rifle proved that it worked, it still had some minor feed and extraction problems that needed to be sorted out, Popsci notes. Though various news sources have reported that the gun enthusiast's homemade weapon is the "world’s first 3-D printed gun," Guslick was quick to point out that this is not the case. "Firearms manufacturers have been doing exactly that for prototyping and testing for many years, and I'm certain many hobbyists have used 3-D printed gun parts as well," he told HuffPost. However, he added that his gun is -- to the best of his knowledge -- the "first 3-D printed firearm to actually be tested" in a non-commercial setting. News of Guslick's creation has provoked a number of discussions about gun control laws and the future of gun use and manufacturing in this country and elsewhere -- with some commenters saying that 3-D printers could now allow just about anyone to assemble a completed gun from mail-order parts without government licensing or registration. Others have pointed out that Guslick only used a 3-D printer to create one component of the rifle and that an all-plastic, functioning assault weapon is probably not in our near future. For his part, Guslick said he's been surprised by all the media attention and insists that the creation of a 3-D printed firearm is not cause for alarm. 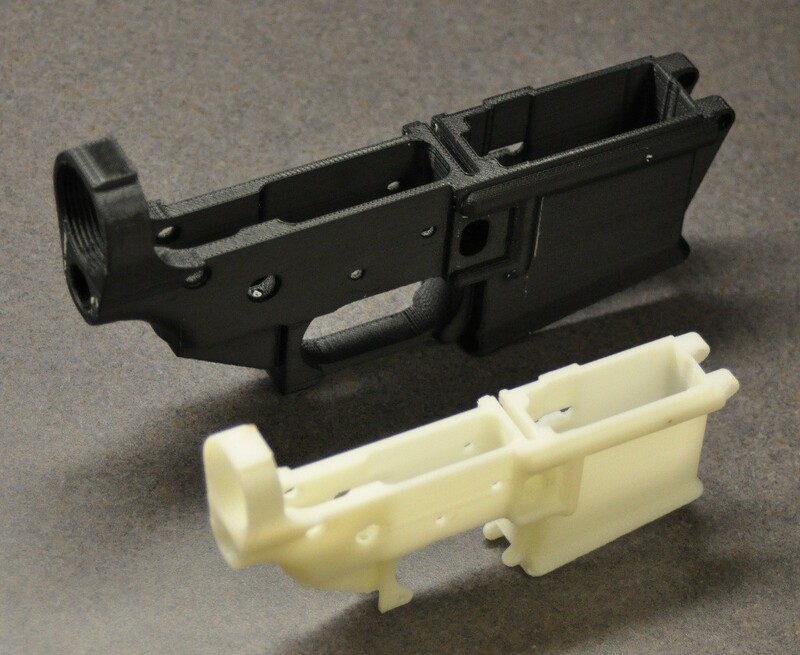 "In the end, 3-D printing an AR-15 lower receiver and assembling it into a functional gun is unremarkable on a technical level, yet a curious novelty on a legal level," he said. "[And] yes, though such tools are equally available to criminals as well, I cannot foresee criminals turning to 3-D printing as an avenue to obtain illicit arms when the black market continues to serve as a far simpler means of acquisition -- and does not require any level of technical acumen." Ultimately, Guslick said he hopes his 3-D printed creation does not take away from the many possibilities that 3-D printing has for our future. "3-D printing will change our perception of mass production, with products being made more economically, not to mention locally. Similarly, 3-D printing will expand to help redefine ergonomics as more of the items we use everyday will not just be designed for 'humans' but for 'individuals,'" he said.